This week marks the last episode of Glee for 2010. 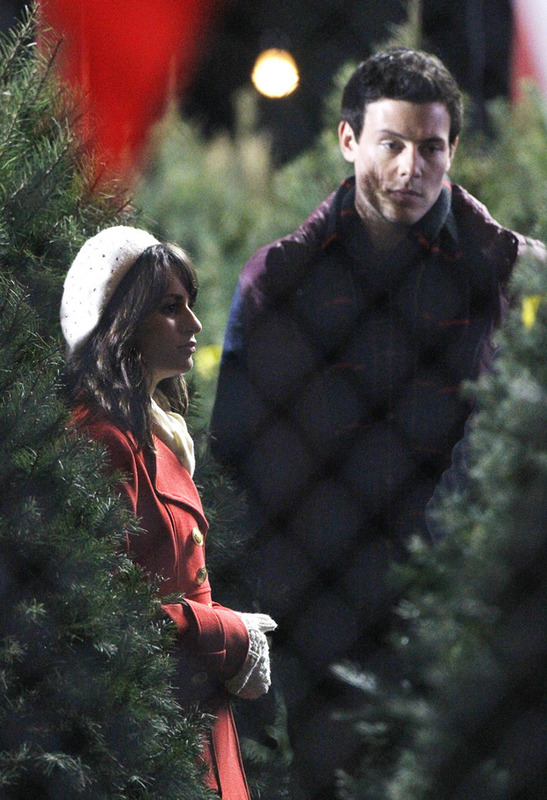 Sad news, yes... but, it will be the Christmas episode. So, cheer up. In relation to their episode, they had released a Christmas album with all the wonderful carols which will be in infinite rotation on music players worldwide. The episode has a whole lot of exciting things happening. 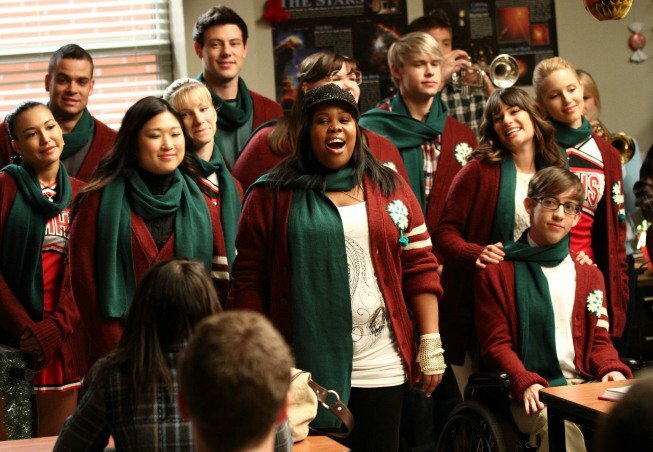 It has Finn trying to bring a little holiday spirit to McKinley by bringing a Christmas tree to the choir room. Also, Artie discovers that Brittany still believes in Santa. Plus the teachers pick out their Secret Santa while some coach rigs the the gift-giving factor. Hmm, I wonder who that will be? LOL! Anyway. 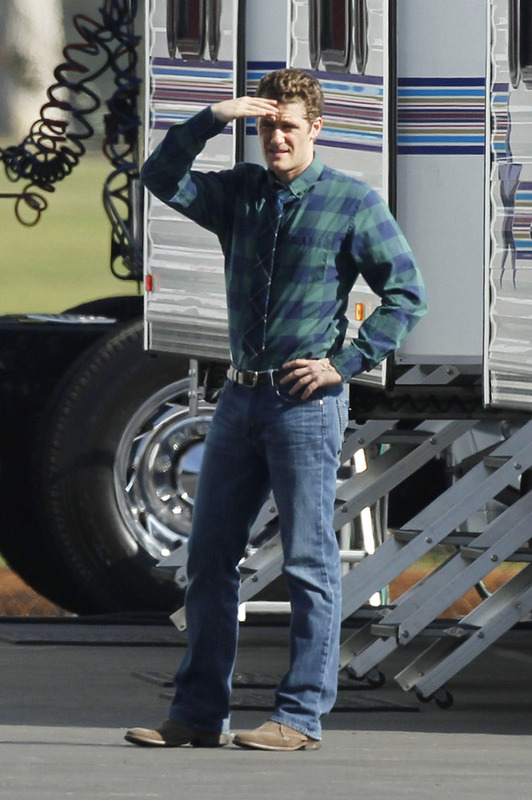 here are some photos from the episode and some behind the scenes, too. 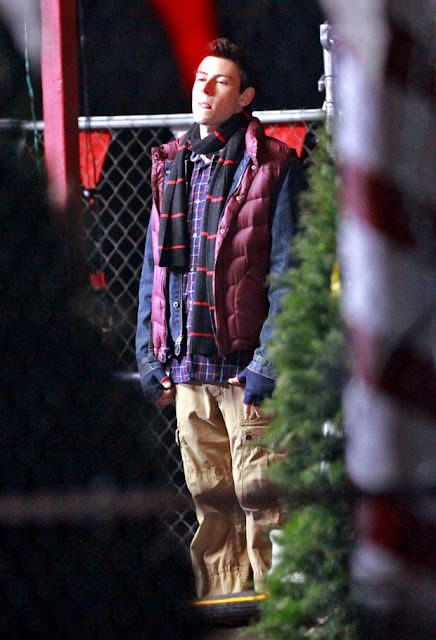 That was a whole lot of Wemma pictures in random Christmas colors! Why are these two together? And they look genuinely happy!?! And Finn all bundled up in a corner. 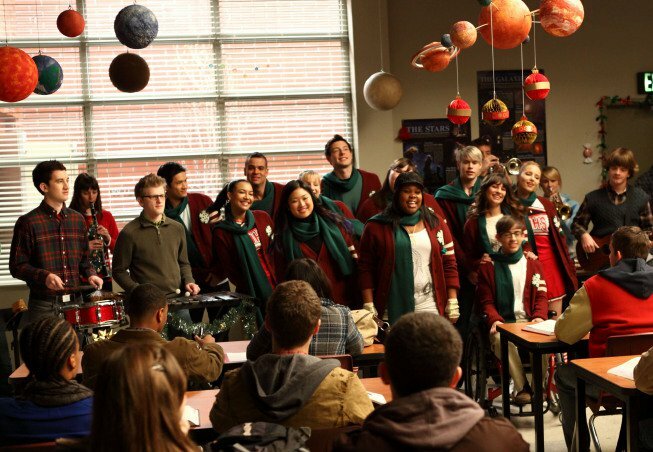 Glee-wind: A Very Glee Christmas! 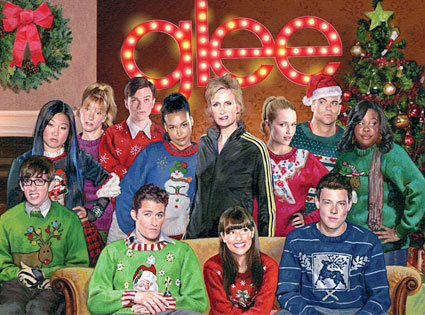 Holidays are Glee - full!